A common question we are asked by prospective franchise owners is how long will it take to open their new franchise. As with most questions regarding franchising there is not one simple answer. The overall range to open a franchise can be anywhere from as soon as 2 months to as long as 12-18 months. There are three basic location types of a franchise, each with a different timeline for opening. Let’s take a look below at how their timelines differ. The overall timeline to open a retail-based franchise can range from 6-18 months. There are several factors to determining where in this range your timeline will fall. As the old-adage goes, location, location, location. Most retail businesses can be made or broken by the quality of the location. Choose a bad location, with the wrong traffic flow, the wrong demographics, or the wrong neighbors and your business can be sunk before it is even open. In most cases, the site selection is finding an existing space to retrofit to your brand but there are franchises where the site is the land and you will build your brand-new location from scratch. Now that you found the site, it is imperative to negotiate the best deal. A great location with terrible rent is almost as bad as a terrible location with great rent. The location now must be built out to the meet the specifications of the franchise. Afterall, what would McDonald’s be without the golden arches? Part of the lease negotiations can oftentimes include tenant improvement allotments. The more of the build out the landlord/property management company will pay for, the less your investment will be to open. The timeline however for retail-based franchisors, even with all the help and support, can still range between 6-18 months before the doors are open for business. 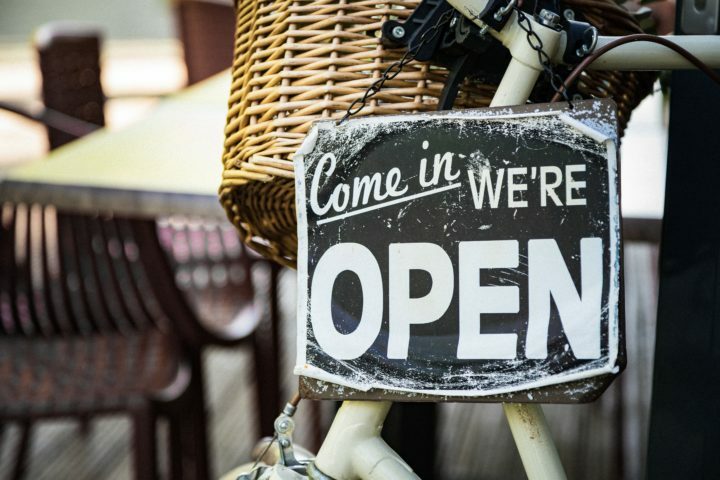 Though it takes longer to open a retail business, the pre-opening marketing efforts, the desired location, combined with the brand recognition will lead to customers walking in to your business on Day 1. Office based/non-retail: The timeline for this opening is usually 60-90 days. Site selection for a non-retail franchise is a significantly easier process. These businesses are typically located in a business park, a light industrial area, or an executive suite. Customers rarely, if ever, come to your office so visibility to the passerby is not needed. The rent per square foot is much less than the retail locations and since customers do not come to you and a highly specific build out is not needed. Franchisors are still there to help with the site selection and lease negotiation to ensure you have the optimal space and rent but there is much less involved in finding this type of location. Pre-training with non-retail franchises is accelerated since the time to secure a location can be done in as little as 30 days. The goal is to have all pre-training done so once the in-person training has been completed at the franchisor’s headquarters it is time to launch your new business. Since customers don’t come to you, a big part of the training will focus on marketing. The goal is to come out of training with customers waiting for you, but it is important to know that owning a non-retail franchise requires the owner and/or their team to be out and about to create the awareness and build relationships in the community. Virtual: Like the office-based business, these can be open in 60-90 days. There are not many franchises that can be ran without any sort of office but there are a few. Even though you do not need to worry about finding a location, there are still things to consider. Do you have a dedicated work space in your home? Do you have the basics of a printer, scanner, and other office necessities? More importantly than the space and the stuff is an honest determination of the discipline required to work virtually. It may sound cool to work from home, but it is not for everyone. If you have not done so before, be sure to consult with other franchise owners about their transition or talk with friends or colleagues who have worked remotely before. Virtual franchises are the easiest and most inexpensive to launch but that does not mean they come without location-based risk. How can you make it all happen? There is a seemingly never-ending number of things to think about when launching your new business, no matter the location type. This is why the franchise model is so attractive to many and so successful for new owners. The franchisor has figured out all the steps, all the potential pitfalls, and assembled a team to assist every step of the way. Do remember these timelines begin the day you sign your franchise agreement. The vetting process of determining the best franchise to own can be 60-90 days as well. There are almost as many things to consider in finding the best franchise to own as there are in getting it open. Unsure how to find the best franchise, check out this article or use franchise matching experts like FranCoach to help with this process. Owning a business is the dream of so many people but the fear of the unknown can cause the dream to never become a reality. If you have ever thought of becoming a business owner, we encourage you to reach out and schedule an initial conversation with FranCoach. There is never any fee for our service so the worst that happens is that you learn something new and know for sure this is not the right time to own a business. But maybe, just maybe, what you learn alleviates your fear and concerns, you find the perfect franchise for you, and you are off and running with your new business. Contact us today to create your better tomorrow.